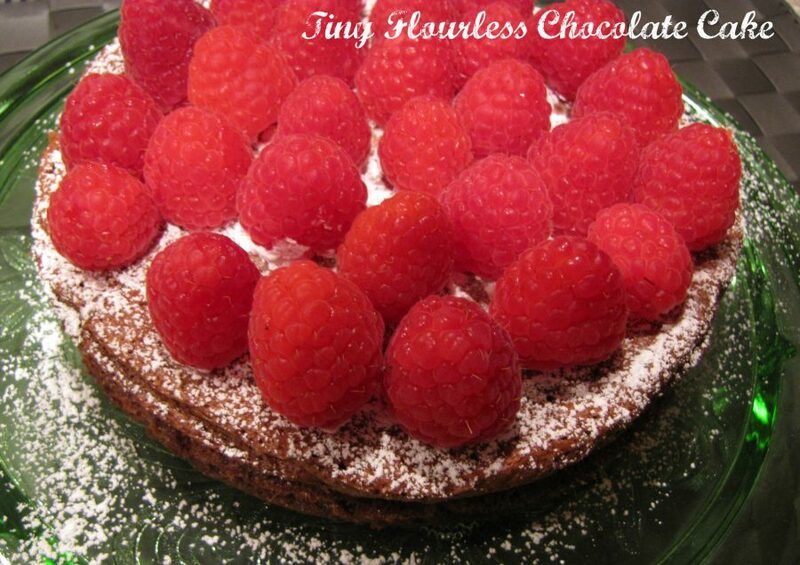 Looking for something festive for the New Year? 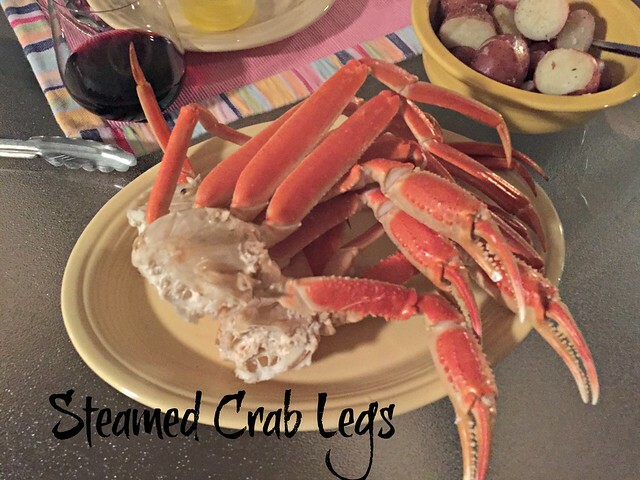 How about some Steamed Crab Legs? 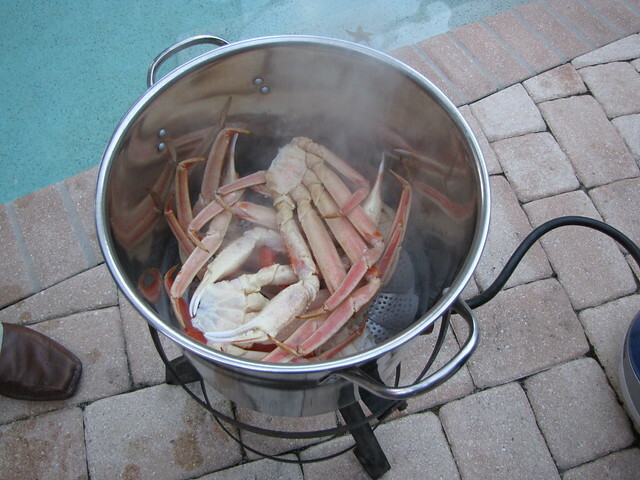 Crab legs were part of our Christmas dinner compliments of our neighbors Darrin & Jody. 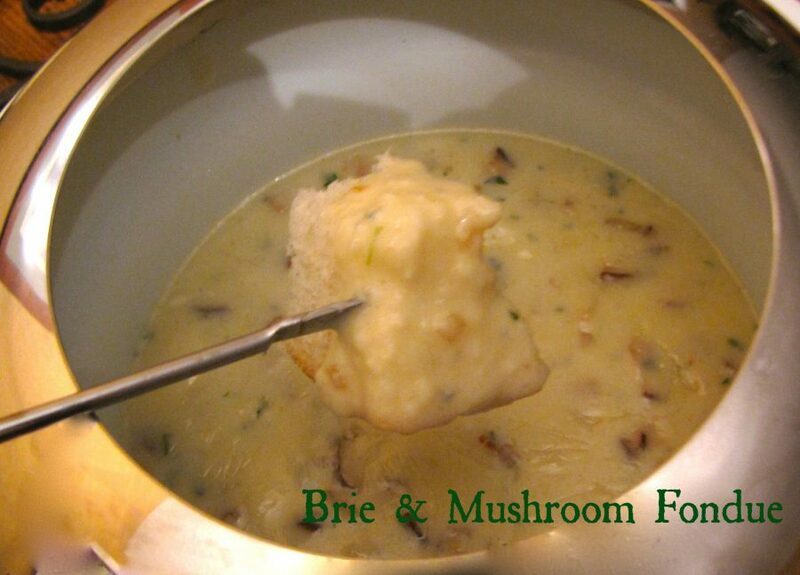 It was Jody’s suggestion to add them as an appetizer and boy am I glad we did! Crab legs don’t have to be something that you just have at restaurants. In fact, you can get a lot more bang for your buck by making them yourself. It’s easier than you think to make these at home. All you really need is a big pot, steamer basket, and butter. As you can see, we have repurposed the turkey frier that was languishing unused and unloved (at least unloved by me) in the garage. 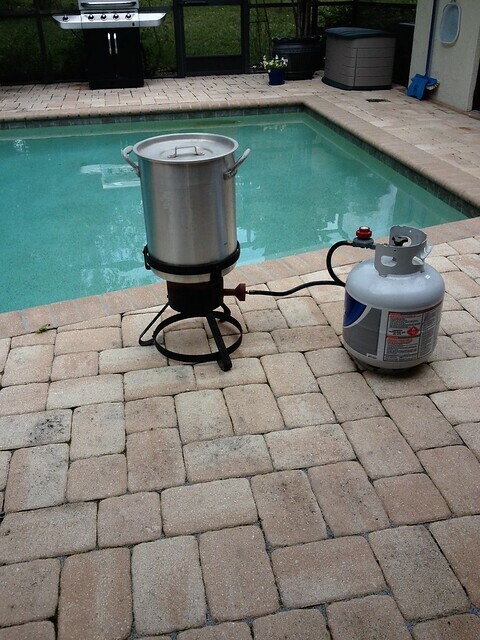 Instead of the turkey pot which is really huge, I used my big stock pot. Just find something big enough to accommodate the crab legs without having to bend them. You don’t have to cook the crab legs this way, but I will warn you that they can get just a little stinky in the house. Jody suggested using a big pot on the side burner of the gas grill as another option. Or, go ahead and put the big pot right on the stove and buy some nice scented candles to deal with the crabby smell. 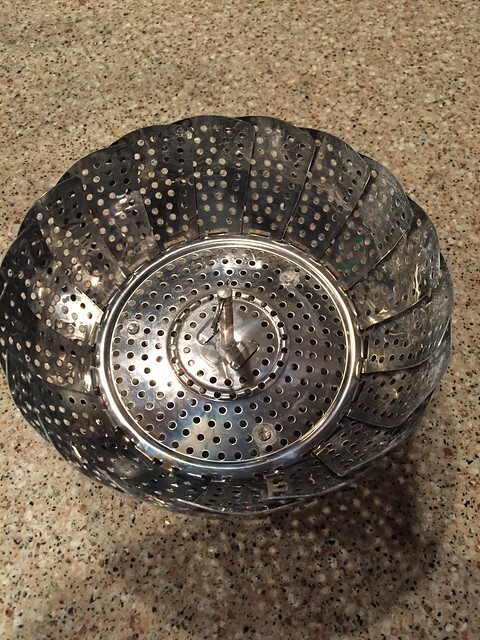 Since these are steamed rather than boiled, you need a steamer basket to keep the crab legs out of the water. A little one from the grocery store (I bought this for steaming broccoli) works great and only costs a couple bucks. The only other special equipment you need is a way to get into the crab legs once they’ve been cooked. 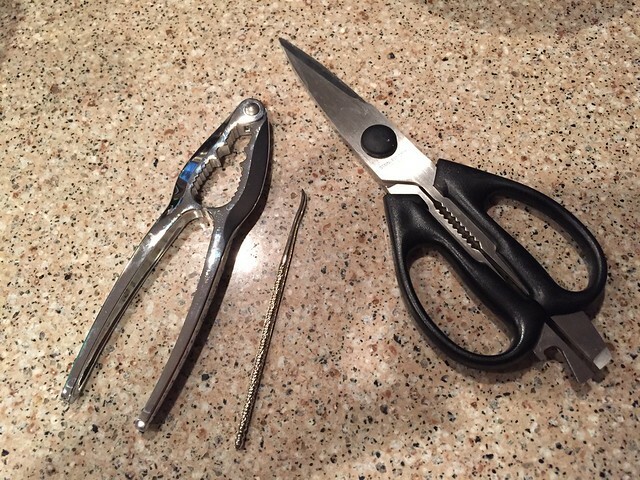 You can use a seafood cracker tool like the one on the left or an even better way is to use some kitchen shears or scissors. Once again, I bought the kitchen shears at my Publix for about $4. Nothing fancy needed since I’m not going to use them for heavy duty cutting – I have my trusty garden turned Spatchcocking shears for that sort of work. King Crab Legs are the big ones that get all the glory. If you can find them and they fit your budget, by all means go right ahead. 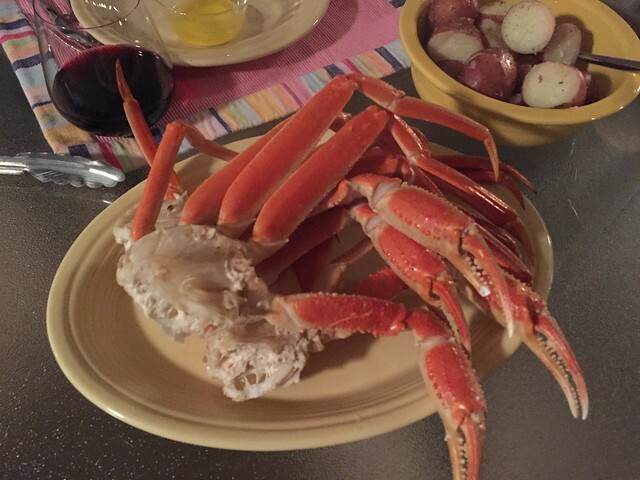 However, Snow Crab Legs like we have here are often HALF the cost and just as tasty. In fact, the meat is sometimes more tender and sweet since the claws are smaller. Yes it’s a little more work to get the meat out of the skinny parts of the crab legs but eating crab legs is sort of an adventure anyway. For an appetizer, plan on 1 cluster of crab legs per person. 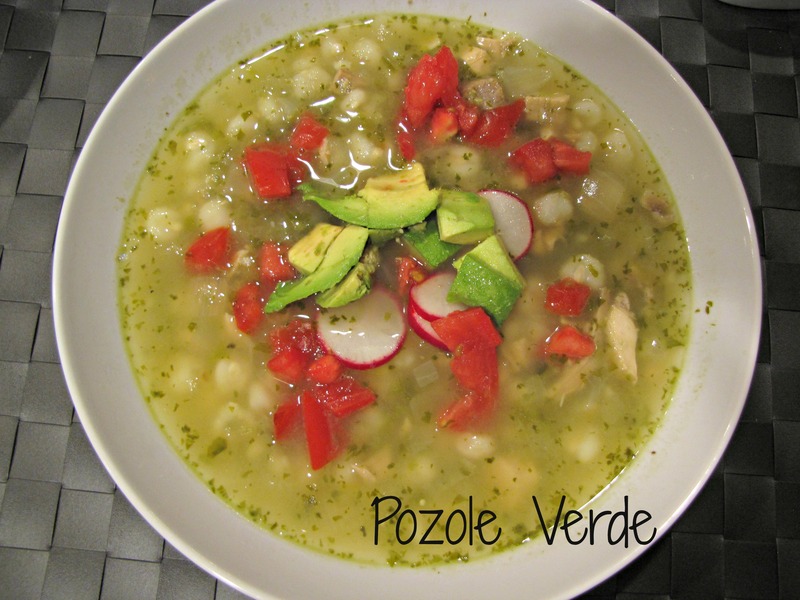 For a full meal, you will probably want 2 apiece. One thing to note, be sure you have EVERYTHING else you are serving ready to go before you start steaming the crab. They only take 5 minutes and once they’re done, you want to get them from the steamer to the table right away. If you’re having Steamed Crab Legs as appetizers, all you need is some melted butter. If you want a bigger crab leg dinner, I suggest that some steamed new potatoes are a great addition since you will already have butter at the ready. Add a salad and you’re good to go. 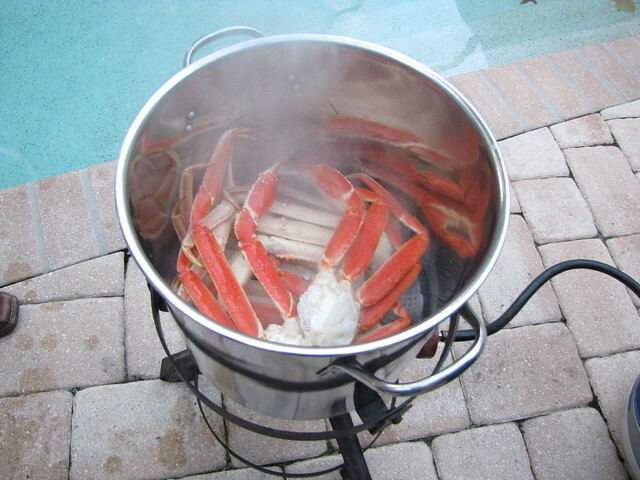 When you’re ready to cook the crab legs, put the steamer open and flat in the bottom of the pan and put in ONLY enough water to reach the bottom of the steamer basket. When the water is vigorously boiling, carefully remove the lid (it’s hot!) and quickly lay the crab legs in on top of the steamer basket. Cover with a lid to keep the steam in and wait 5-6 minutes. 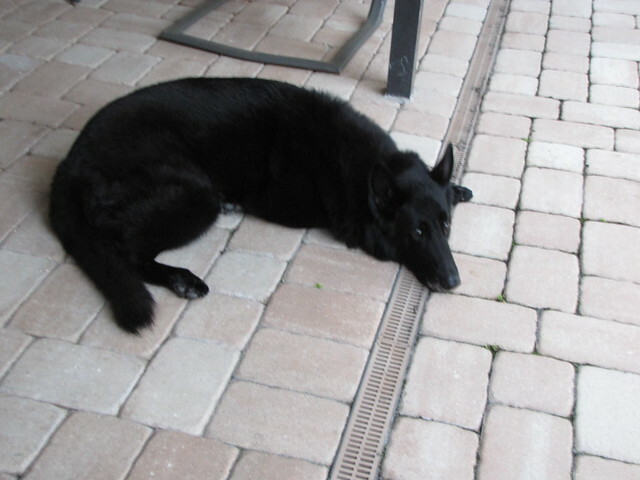 It helps if you have a nice canine assistant to help you pass the time. After 5 minutes carefully remove the lid to reveal your gorgeous, bright red, crab legs! 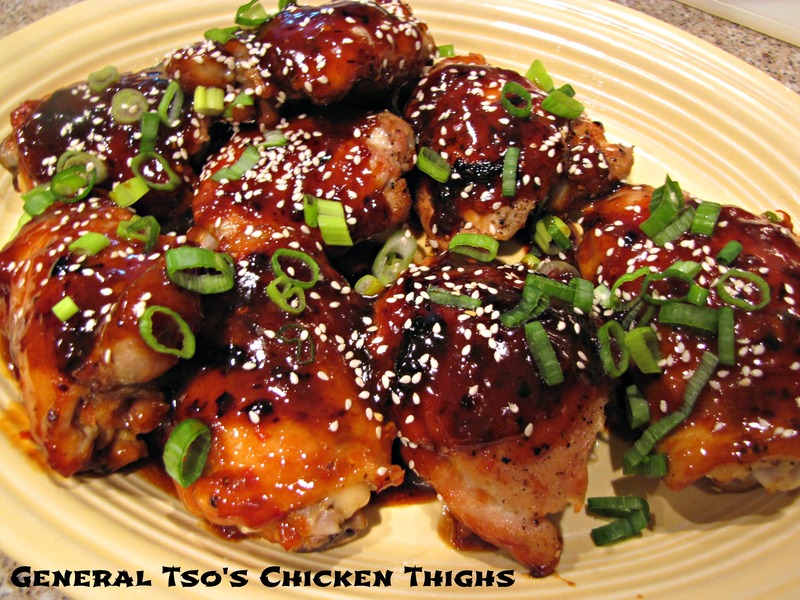 Grab some tongs and get those babies to the table. Pull off a leg or claw and get cracking! You can see my little dish of melted butter up there just ready for dipping. Mmmmmm. Most crab legs from the store come in frozen and already fully cooked. Unless you are buying the whole crab live, steaming is the way to go so you don’t overcook the crab. I think it’s fairly safe to say that they turkey frying pot has been renamed the CRAB POT. I guarantee that it will get a lot more use from now on. In fact, we might have had crab legs 2 nights in a row. All in the name of research for Idiot’s Kitchen, of course! That is the biggest pot I’ve ever seen.